This course prepares you for Microsoft Certification Exam 70-765. By the end of this course, you will be able to provision databases on Microsoft SQL Server 2016 and Microsoft Azure. Microsoft exam 70-765 ("Provisioning SQL Databases") is one of two tests you must pass to earn a Microsoft Certified Solutions Associate (MCSA): 2016 Database Administration certification. This course supplies you with the knowledge you need to pass the 70-765. This course is intended to show how to arrange SQL Server databases both on start and in SQL Azure. This training is a piece of a Microsoft certification path and can enable you to get ready for your Microsoft certificates. Essential knowledge of the Microsoft Windows working framework and its center usefulness. Understanding of Transact-SQL and working experience with it. Knowledge and practical skills regarding social databases. Some experience related to the database structure. A comprehensive and practical course designed to help you pass the Microsoft SQL 2016 (70-764) exam. In this course, you will learn how to administer a SQL Server 2016 Database. Prepare for Microsoft's 70-764 certification exam as you learn to configure data access and auditing; manage database backup and restore; manage high availability and disaster recovery; and manage and monitor SQL server instances. At the end of this course, you will have developed the knowledge and skills necessary to pass the Administering a SQL Database Infrastructure Exam. So let's get started. This course is preparation for the 70-463 exam and describes how to implement a data warehouse platform to support a BI solution. Students will learn how to create a data warehouse with Microsoft SQL Server 2012, implement ETL with SQL Server Integration Services, and validate and cleanse data with SQL Server Data Quality Services and SQL Server Master Data Services. A data warehouse collects needed data and organizes the data in a form that solves the complexities and performance issues that line-of-business applications present. This training course was created specifically for those individuals (Database Professionals) who install, maintain and configure as their primary job function. This course is intended for SQL Server database administrators, implementers, system engineers, and developers. 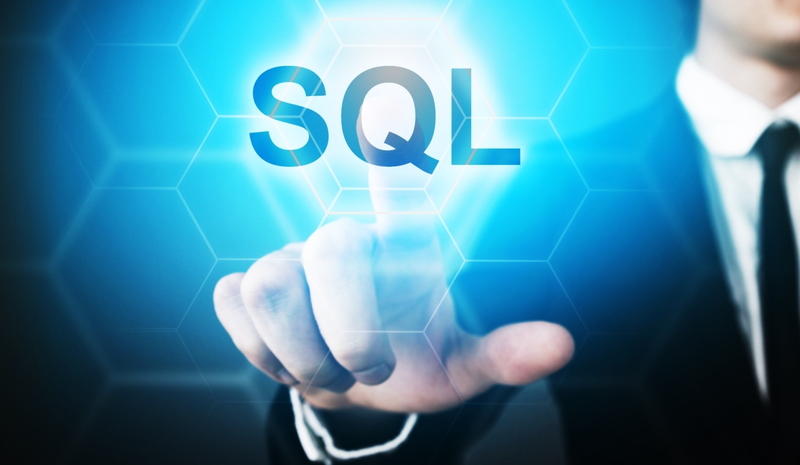 This new SQL 2012 course is focused on anyone interested in the validation of your skills and knowledge with writing queries. This course provides students with the technical skills required to write basic Transact-SQL queries for Microsoft SQL Server 2012 and is the foundation for all SQL Server-related disciplines namely, Database Administration, Database Development and Business Intelligence. The ability to work with Transact-SQL and understand the specifics of querying Microsoft SQL server is a fundamental skill. This new SQL 2012 course is focused on anyone interested in the validation of your skills and knowledge with writing queries. SQL Server database administrators, system engineers, and developers with two or more years of experience, who are seeking to validate their skills and knowledge in writing queries. Hi there, I am enjoying your course, I have added Microsoft SQL Server Managment Studio, how do I add SQL Server (MSSQ), for the engine backend.? Oracle Database 12c: SQL Fundamentals, you experience the benefits of an Oracle Database that is re-engineered for Cloud computing. Multitenant architecture brings enterprises unprecedented hardware and software efficiencies, performance and manageability benefits, and fast and efficient Cloud provisioning. This course will provide the learner with everything that is needed to pass the Oracle 12c OCP 1Z0-061: SQL Fundamentals. The course has been designed to give you real-world knowledge that you can put to use from day one. It's highly flexible, so you can set your own timetable and study at your own pace. This fantastic Oracle 12c OCP 1Z0-062 course teaches you about the Oracle database concepts and tools, internal memory structures and critical storage files. In addition, you will explore constraints and triggers, background processes and internal memory structures. Learners will come away with a set of highly valuable skills and will be able to gain employment as a Database Administrator, Database Analyst, or Oracle Database Engineer. This course will provide the learner with everything that is needed to pass the Oracle 12c OCP 1Z0-062: Installation and Administration exam. This course is specifically for participants to measure their knowledge and skills on making the appropriate job role decisions around designing database solutions for Microsoft SQL Server 2012. This course will teach students to plan and implement enterprise database infrastructure solutions through the use of SQL Server 2012. The course teaches students how to plan and implement enterprise database infrastructure solutions by using SQL Server 2012 and other Microsoft technologies. It also teaches the consolidation of SQL Server workloads, working with both on-site and cloud-based solutions and disaster recovery solutions. This course is specifically for participants to gain the knowledge and skills for making the appropriate job role decisions around designing business intelligence solutions with Microsoft SQL Server 2012.
Business intelligence is an integral part of SQL Server and 70-467 is the certification designed for the associates who are responsible for the business intelligence design and solutions. Having a business intelligence certification is great values in IT as major platforms are designed with BI. The BI not only helps in simplification of solutions but also helps in implementing it effectively. This course is specifically for participants to gain the knowledge and skills for making the appropriate job role decisions around implementing data models and reports with Microsoft SQL Server 2012. The course focuses on creating managed enterprise BI solutions and covers how to implement multidimensional and tabular data models, deliver reports with Microsoft SQL Server Reporting Services, create dashboards with Microsoft SharePoint Server Performance Point Services, and discover business insights by using data mining. It describes how to consolidate SQL Server workloads and how to plan and implement high availability and disaster recovery solutions. This course is specifically for participants to measure their knowledge and skills on making the appropriate job role decisions around Developing Microsoft SQL Server 2012 Databases. Developing Microsoft SQL Server 2012 Databases training prepares Database developers to build their skills in developing and implementing databases, while ensuring high level of data availability. This course is in preparation for the 70-464 Developing Microsoft SQL Server 2012 Databases exam. This course covers logical table design, indexing and query plans, and focuses on the creation of database objects including views and stored procedures, along with parameters and functions. Other common aspects of procedure coding, such as indexes, concurrency, error handling, and triggers are also covered in this course. This training course on developing Microsoft SQL Server 2012 Databases prepares participants for the Microsoft Exam 70-464.